Not to be a Debbie Downer, but come on…sometimes we don’t want HUGE bags of candy in our homes, or our family doesn’t really do “scary”. Some of our kids don’t love walking dark streets in the cold and rain and hey- some parents don’t love it either! 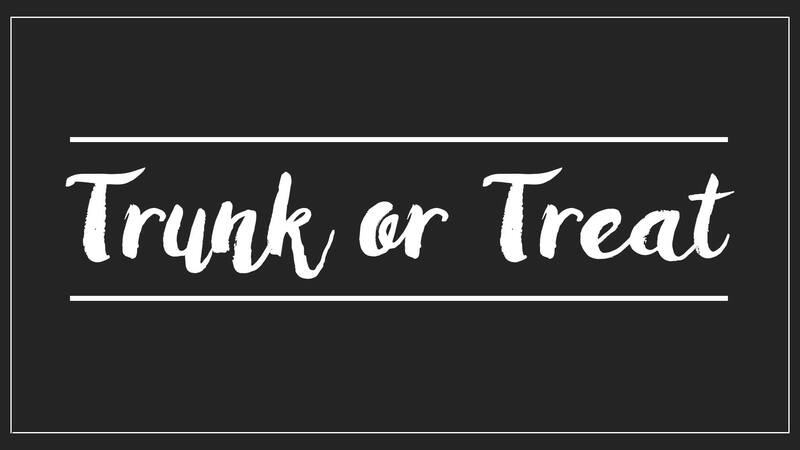 Thankfully, there are OPTIONS for Halloween! 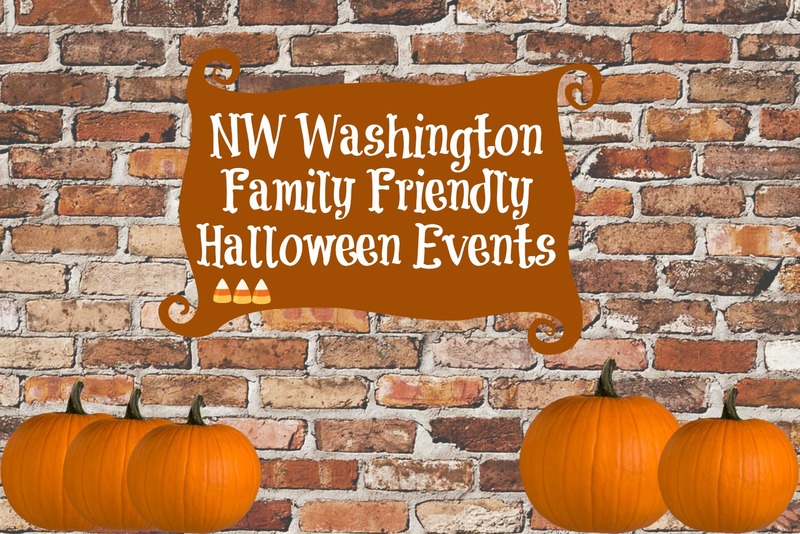 Since Halloween is only one week away, today we’re sharing a few Family Friendly events and ideas. Sometimes it’s nice to be able to do something a little different and perhaps safer, warmer and easier, than the typical door to door trick-or-treating. If you have any fun family-friendly traditions, please share them below! 2. FREE!! Family friendly environment! Bouncy house, obstacle course, cake walk, photo booth, hot dogs, hot chocolate, trunk or treat and games…..did we say it’s all FREE?! 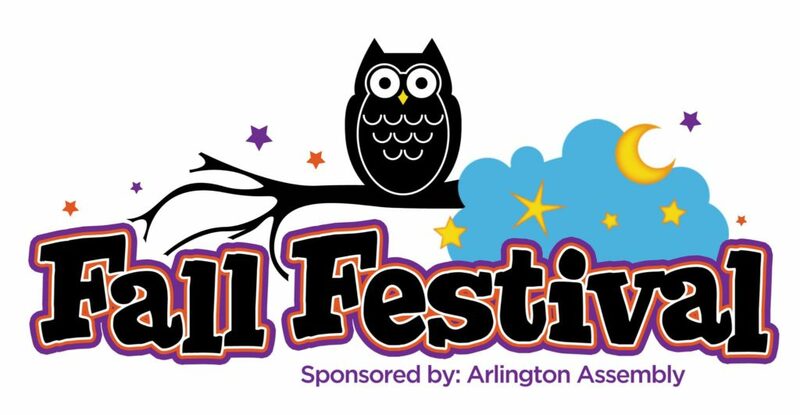 Come on out and join Arlington Assembly at our annual Fall Festival!! Grab more info here. 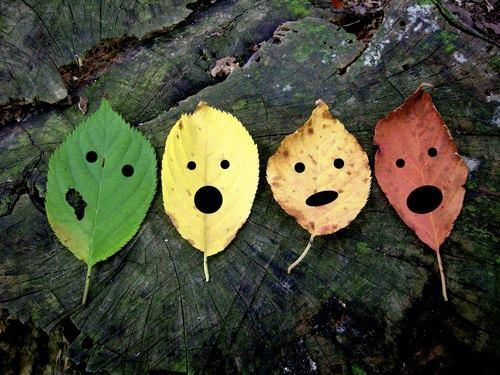 3.Stop by Burien FM on the 29th for a candy, a chili cook-off, and fall fun! Admission is free and we’ll be handing out candy from 3-5pm. Grab more info here. 4. 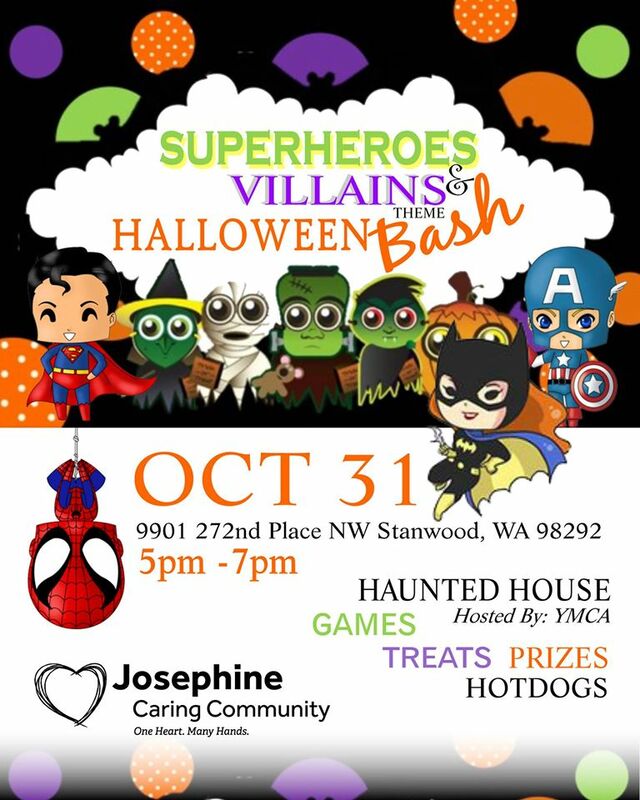 Josephine Caring Community is hosting a community Halloween Bash – Superheros & Villains theme event. FREE games, prizes, hotdogs, photo booth and haunted house. Dress the kids up in their favorite costume and join us for a few hours of fun trick or treating for all ages. Haunted house is age appropiate for children ages 8 and up…enter at their own risk! 6. Harvest Festival and Trick-or-Treat in the West Seattle Junction. The Junction’s Harvest Festival has become a favorite fall event for West Seattle. Join us for a day of community fun as we celebrate this season of change. There will be activities for kids sponsored by our local businesses and organizations, a chili cook-off, costumes and prizes, trick-or-treating, and of course great fall bounty brought to The Junction by our local West Seattle Farmers Market. The Harvest Festival is great time to come together as a neighborhood and celebrate our community spirit! More info here. 7. Trunk or Treat, Bellingham! 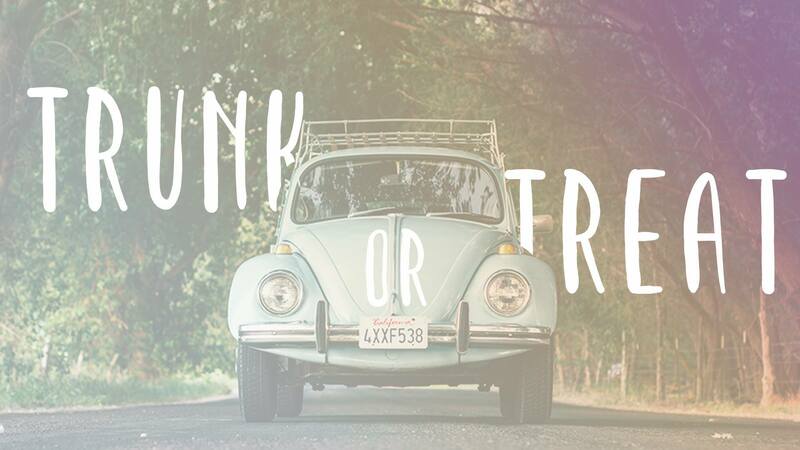 We’ll have decorated car trunks, and we’ll serve apple cider and popcorn. Come join the fun! 8. BCC|Kids presents the most epic, mouth watering, costume inspiring Chili Cookoff & Trunk or Treat Festival! There will be irresitible chili, lawn games, and candy galore! Grab more info here. 9. Trunk or Treat, Bremerton. 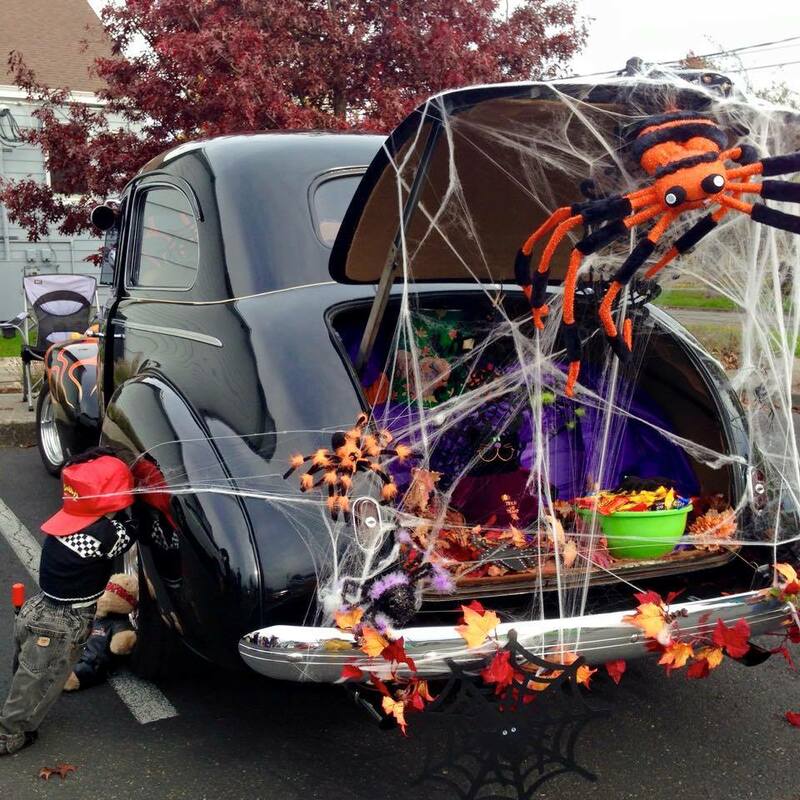 Come ‘Trick or Treat’ 60 cars filled with candy, each decorated with different themes in the parking lot at Hillcrest! This event is for all ages! If you don’t have kids or your kids are grown, we’d love for you to participate in running carnival games or passing out candy in your decorated trunk! There will be fun things for EVERYONE! More info can be found here. 10. 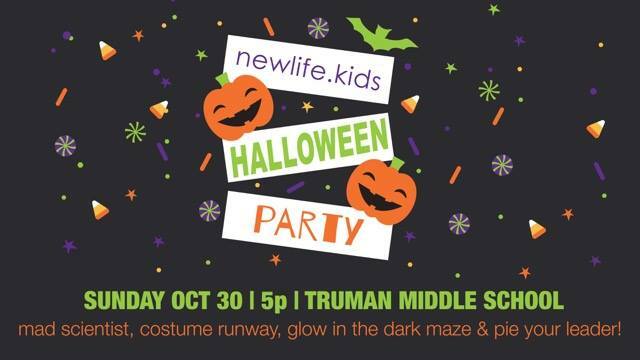 Kids Halloween Party #newlifeTacoma See you at Truman Middle School, Sunday, Oct. 30, at 5 p.m. The kids area will be transformed into an amazing Halloween experience during the regular gathering. Don’t forget the costumes! -Call local nursing homes to see if they are doing trick or treating with the residents. -Stay in, dress up with your kids and enjoy handing out candy together. -Have kids in school? Go to their school harvest party! -Dress up and then visit friends and grandparents. FREE Kidgits Boo Bash Trick-or-Treat at Summit Mall Halloween is here and Simon Malls is inviting all little ghouls, goblins, and boo tiful princesses to come have a spooktacular time at this family friendly Halloween event.